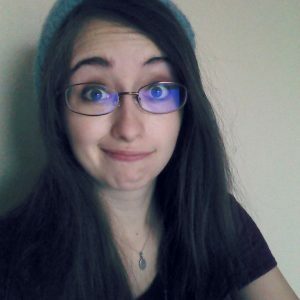 Do you like playing games? Do you enjoy cooking? Do you like to occasionally have more than just soda pop and potato chips as snacks for game night? 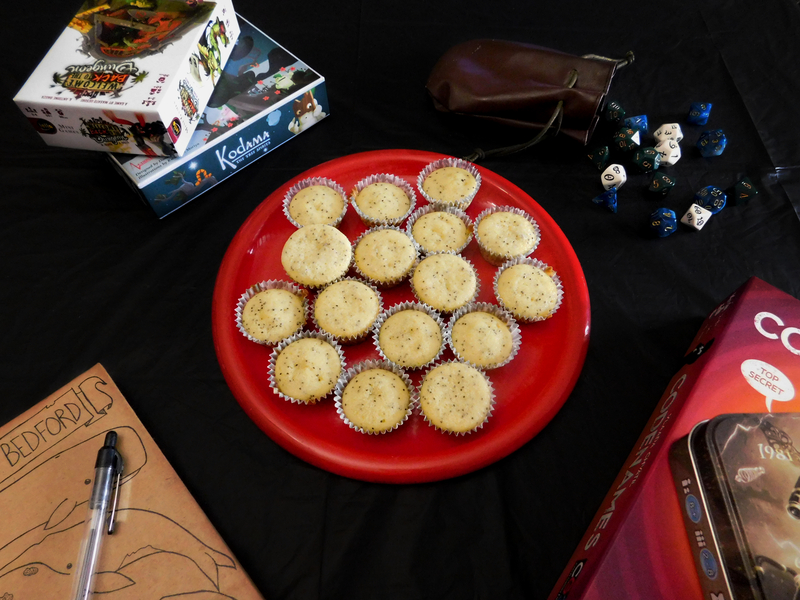 In this new Monday blog series, game industry personalities will be sharing some of their favorite recipes for game night munchies. Welcome to Gaming Gastronomy! This week our popping good snack comes from Jessi “ArtsyRobot” Bailey. Sometimes when I host game night, I get excited. It’s finally that time of the week to hang out with friends and de-stress from the long hours of work throughout the week. The anticipation of it all would lead to me anxiously walking around while waiting for everyone to arrive. But eventually I started using this energy to create snacks for the night. One of my favorites is creating mini-muffins because they are not as sweet as some desserts, but also help recharge you as the night goes on. Plus, creating them in baking cups makes it easy to grab one and pop it into your mouth! So there’s no worry of making a big mess with the food as you play your games! Which is definitely a plus to me. I hope that the recipe below helps bring joy to your next game night as well! Preheat the oven to 375 degrees Fahrenheit. Put the baking cups in the pan and set it aside. Sift the flour, baking powder, and salt into a medium bowl. After mixing, set aside for later use. Cream the butter, lemon juice, and granulated sugar until the mixture is light and fluffy in a new bowl. (Make sure to scrape the sides of the bowl down so that it’s all mixed.) Add the eggs one at a time in the mixture. Beat it well after each addition. Then stir in the poppy seeds. Mix the flour and milk into the butter mixture, alternating between the two, until it is well combined and smooth. Put batter into the baking cups (that should be in the pan) to where the cup is filled about ¾ of the way. Bake the muffins until they are golden brown, which is about 18-20 minutes. Let them cool then serve. What makes this recipe even more special is it is Jessi’s birthday! Wish her a happy birthday. If you aren’t a fan of baking from scratch, or prefer an almond flavor: Try the Krusteaz Almond Poppyseed muffin mix! Quite good whether you make full size muffins, mini-muffins or muffies.